Ginza Renoir is a coffee chain in Tokyo that brings you coffee in classical style. The predecessor of Ginza Renoir started in Yotsuya in 1957, while the first official Ginza Renoir cafe was first established in Nihombashi in 1964. Most of its cafes were opened in the 1960 and 1970s and are located in and around Tokyo. As the current styling of the stores was fixed in the mid-1960s, you might feel that time has stopped at this cafe. When you enter, the carpeted stuffy interior might make you feel at home, or it might have the opposite effect on you. The style is called Taishō-roman, which follows 19th century European Romanticism. What stands out though is their largely elderly customer base and that you can smoke in all of its stores, which also attracts a certain type of salary man. They have introduced non-smoking seats in most of their cafes nowadays, but even at these seats you will often smell the tobacco. Behind Ginza Renoir was a senbei store from Nakano that ventured into the coffee business in the 1950s. In their first cafes you could also order Japanese tea and senbei crackers, unfortunately they took that off the menu. 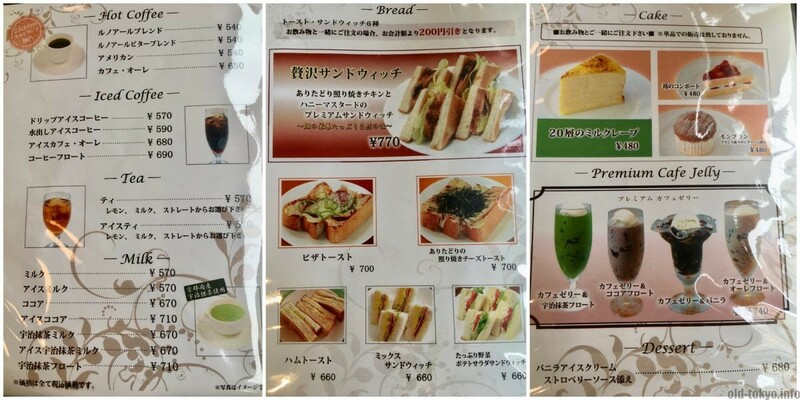 The menu is typical of the shōwa-style kissaten with different types of coffee, tea, as well as sandwiches and cakes. No cookies, scones or waffles here. The prices are clearly higher than other coffee chains. There is no official price so each shop can set its own prices, but count at least JPY 500 for one coffee. For this premium price you do get extra service: you will be seated when you come in, receive a shibori to clean your hands, get water and if you stay longer you will even be brought some tea (free of charge). Wifi is only available in some cafes and is limited to 3 hours a day. Ginza Renoir provides English information about their wifi service. Please keep in mind that the process to register is a bit cumbersome as you will need to send an e-mail in order to receive a guest code. In order to receive this code, you will need to be able to receive e-mail, so basically you need an internet connection. Therefore if wifi is important for you, check the official page (in Japanese) to check whether they have wifi and send them an e-mail before going there. 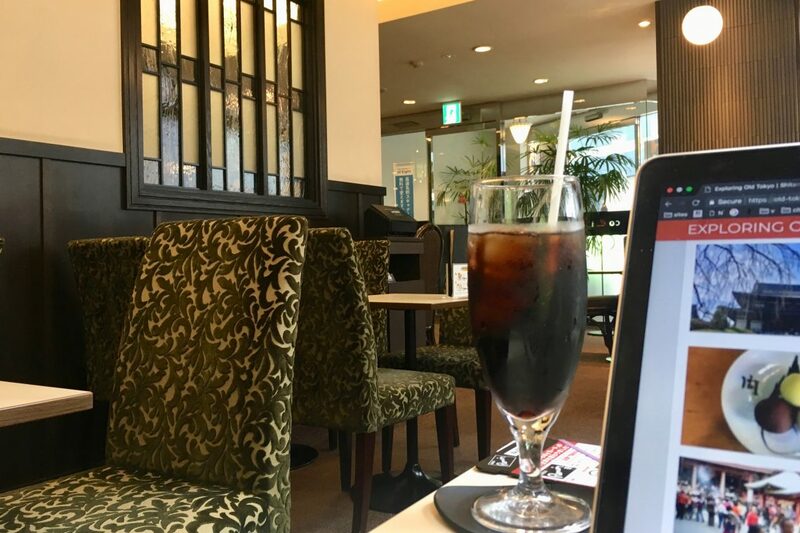 Also in cafes that do not offer wifi you might still see a wifi sign, this means that you can use the wifi service of your Japanese mobile phone provider in case you have a contract. I usually use that when I go to this kind of cafe (I have registered for this type of mobile wifi service). I wonder how many people actually use the wifi service they provide. I saw during my visit mostly elderly people who were either reading the newspaper or talking with each other. Get seated: when you enter, a waiter will come up to you and ask you whether you would like a smoking (kitsu-en) or non-smoking seat (kin-en). Order at your table: shout sumimasen if you are ready to place your order. Receive extra service: get served water and some complimentary tea. Pay when you leave: you receive a small payment slip together with your order that you have to take to the cashier when you are leaving. In general, you can stay several hours without getting asked to make a second order. Ginza Renoir developed into a large chain with 9 brands. They also run the brands New Yorker’s cafe (7 cafes in Tokyo) and Cafe Miyama (13 cafes in and around Tokyo). The Ginza Renoir brand has been split in the original Ginza Renoir (88 cafes) and Cafe Renoir (7 cafes). Cafe Renoir uses lighter colors in its interior. In total there are 95 Ginza Renoir and Cafe Renoir stores in and around Tokyo (spring 2018). Getting coffee here is a different experience from all of the hipster cafes you find in Tokyo these days. If you go to these hipster cafes you actually get the same product as in Europe or the US. Next to all the Shōwa-style cafes that remain, Ginza Renoir shows that this type of cafe is still part of everyday Tokyo. Exceptionally opening time are different, often when the cafe is located within another building that has different opening times.